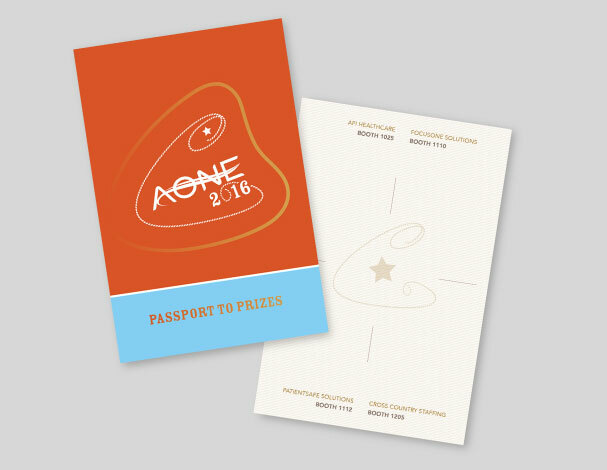 We’ve been working with AONE on their annual conference visual branding for the past three years, and it’s one of our favorite projects to work on. Our job is to distill the essence of the conference theme of inspiration and advancement along with a feel for the meeting’s location. 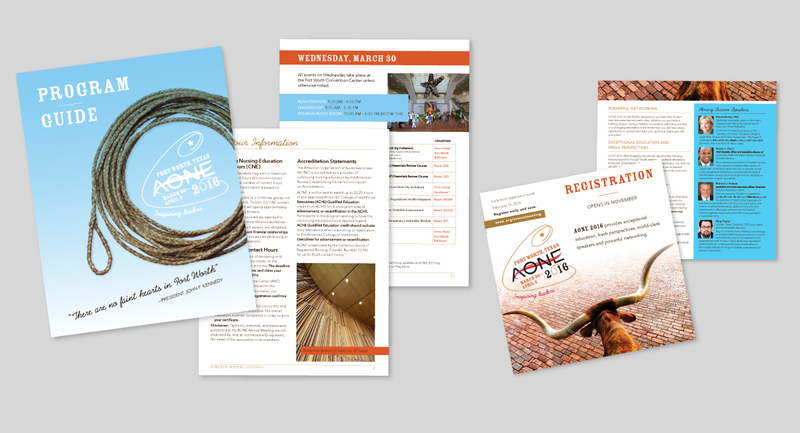 Each year, we do extensive research on the hosting city, both visual and historical, and translate our findings into the final logo, and then expand that look and feel into all conference-related materials, from brochures and postcards, to guides and more. 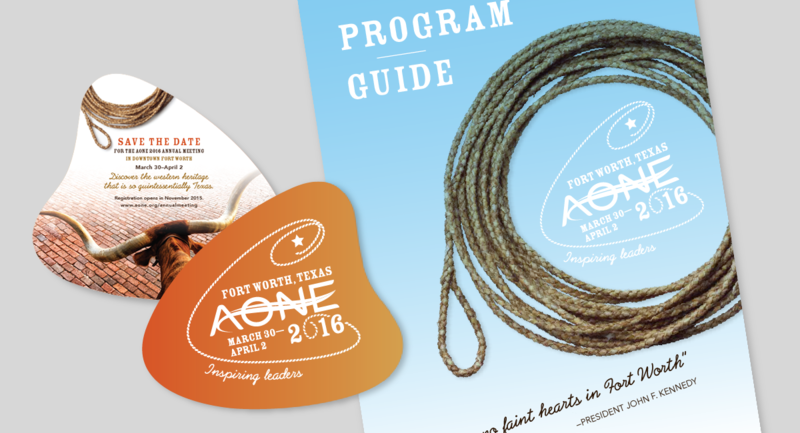 2016’s Fort Worth setting was a great opportunity to explore a visual feel that connected with the feel of Texas while maintaining a contemporary sensibility and not straying too far into the realm of hokey. 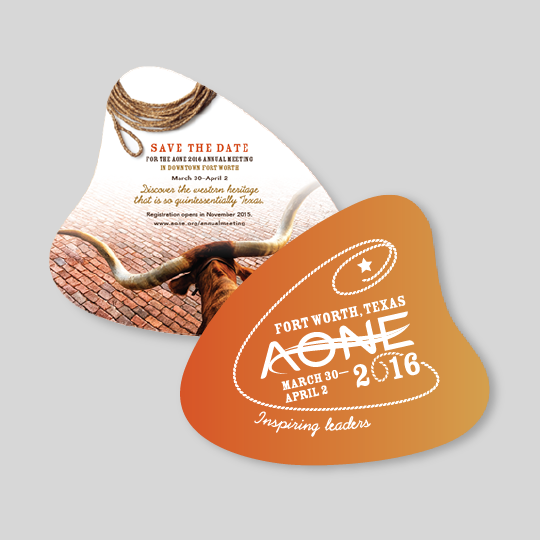 We accomplished this by juxtaposing Wild West imagery with a clean, open layout.